I received so many compliments on this braid when I posted it on Instagram and this post. I've honestly been wearing braids almost daily because my hair texture has taken a weird turn for the... ehhh.. not so good. I'm not sure what happened, but all of a sudden it's dry, brittle, frizzy and shrivels at the slightest sign of heat. I've heard of women's hair changing texture during pregnancy and I'm wondering if mine is just now taking a hit? Braids have been my only solution to taming the chaos while still attempting to have a style. 1 … Separate the front section of your hair from the back on one side. 2 … Begin dutch braiding that front section of hair. Dutch braiding is the same as French braiding only you fold the middle pieces underneath instead of over the top. 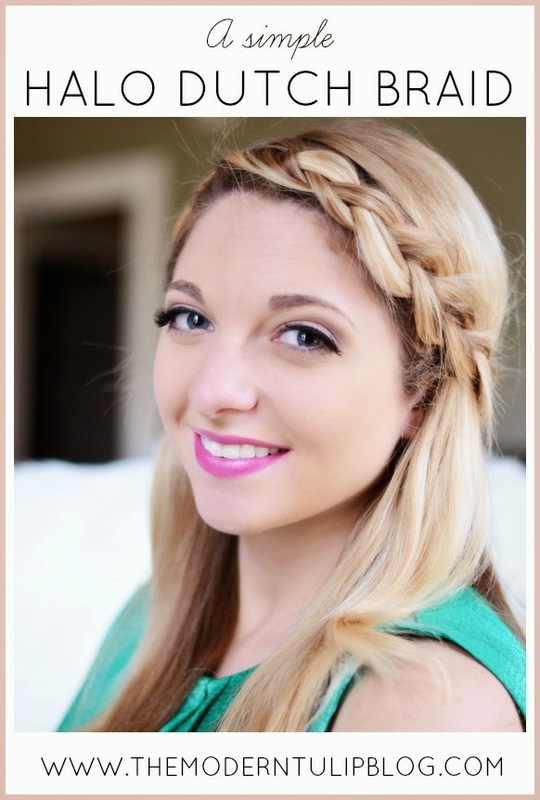 (Youtube dutch braids for easy demonstrations). 3 … Tie a clear elastic hair tie to the end and begin loosening your braid. 4 … Repeat steps 1-3 on the other side of your head. 5 … Pin back the first section of your hair in a halo shape behind your head. 6 … Pin the second section directly over top of the first section (I was sloppy and didn't overlap correctly here). 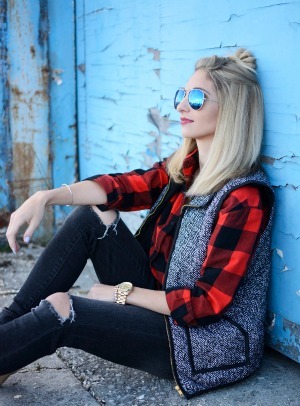 Tuck your ends underneath the braid. You can use extra pins to hold them in place. 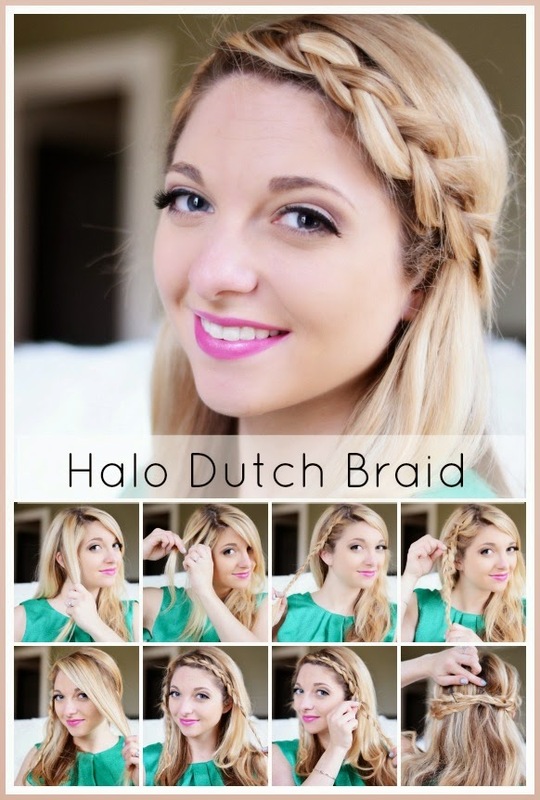 9 comments on "Halo Dutch Braid Tutorial"
Love this tutorial - you are the queen of braids! Good luck at the appointment this morning! Yes, I'm so glad you posted this because I was so curious from your post on Tuesday!! Definitely pinning and trying it out this weekend! I'll definitely have to youtube dutch braid videos because I can hardly do a regular braid but I absolutely love this! Thanks for sharing and hope your appointment went well! This is super cute! I will definitely have to learn how to dutch braid first though! This is so cute! I'm terrible at braids, but this looks pretty simple. Thanks for sharing!